She’s lovely! I absolutely love your wigs!! are made of angora mohair locks, or are you using synthetic mohair fibers (kanekolan)? Thank you very much for your kind comment! I’m glad you liked my dolls and their wigs! Right now I use only natural fibers, and also angora mohair. In the gallery “Additional wigs” the wigs ##2, 3 and 4 are made of mohair. 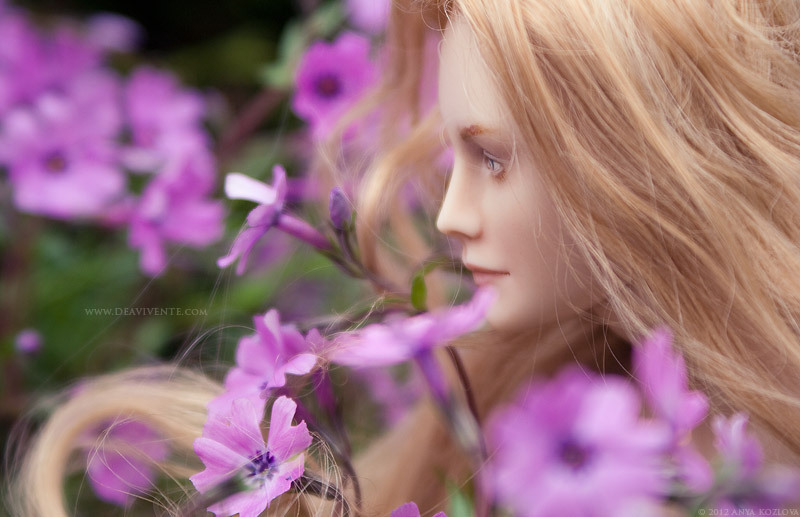 I make wigs only for my dolls and do not sell them separately for other dolls. Moreover the wig caps I make have quite a stiff form and they suit my dolls’ heads perfectly, thus apparently making them unsuitable (or not perfectly suitable) for other dolls’ heads (since their sizes and forms may differ much). 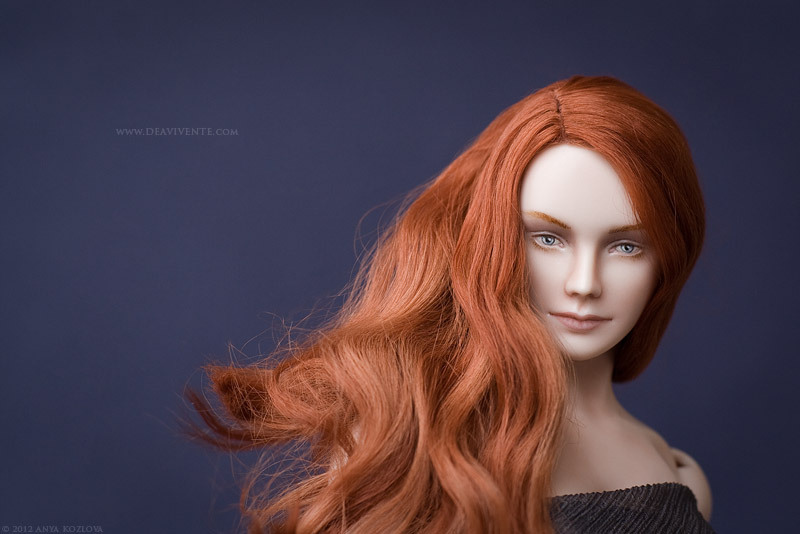 It’s a pity you don’t sell the wigs separately for I’m positively sure most doll collectors would agree when I say they are gorgeous, you would have tons of wig orders I imagine. 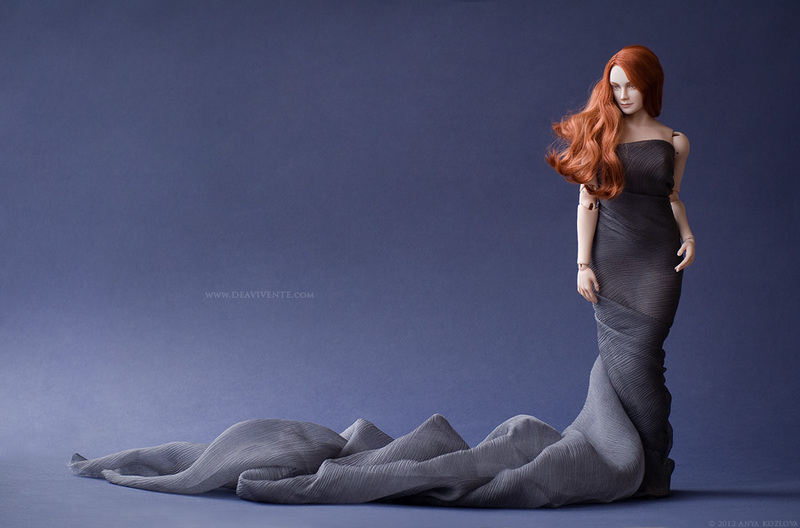 Unfortunately I’m not planing on purchasing another doll anytime soon, I already have 4 at this time, but I find your concept of creating sculpts inspired in voluptuous bodies instead of the model stereotype, very interesting and out off the box. Thank you so much for all your kind words! I really appreciate it! Good luck to you, too! You have a very beautiful portfolio! I really love her. Especially her tummy. It looks so beautiful.